Regular routine exercise is vital for seniors these days. The reason why is because it helps them stay healthy and prevent a number of possible aging health issues. A sedentary life for seniors could mean problems like diabetes and heart disease. Which is why most senior independent living communities (as well as some assisted living communities) provide a variety of exercise programs to keep their residents healthy. Another way for seniors to get exercise is through sports. When it comes to senior exercises, the CDC recommends that seniors get around half an hour of exercise five times per week. Two of those five days should have muscle-strengthening activities so that seniors’ muscles remain healthy. Most senior living communities’ exercise programs do cover these recommendations, however it has some troubles. Some communities’ residents get bored of the same type of exercise programs. This can lead to disinterest. Disinterest creates a return to a less active lifestyle, which can lead to future health problems. To avoid any kind of disinterest, many senior independent living and assisted living places are implementing new alternatives. Senior-friendly sports are being offered at many communities across the country as a “new alternative”. Most of these sports are low-impact but they manage to provide the right amount of exercise that seniors needs daily. 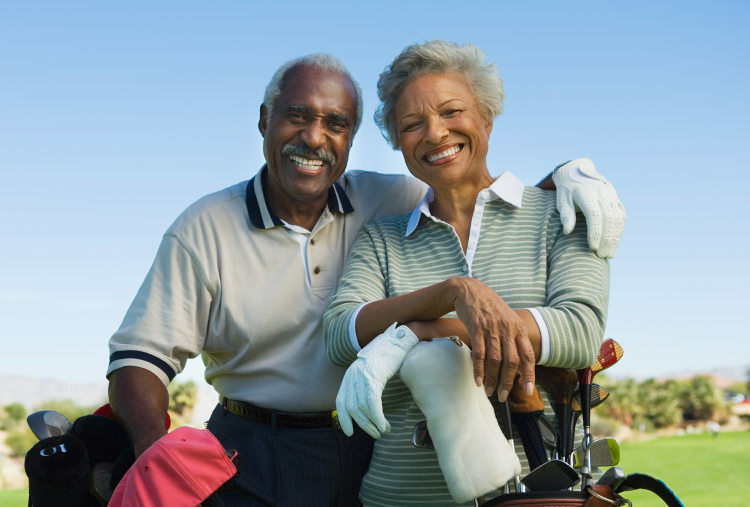 In addition, these kinds of sports help seniors be more socially active. Which is even more beneficial since socially active seniors tend to live longer. Many of these sports are low-impact, meaning they don’t put much stress on the body. However, while they bring no stress, they still bring a good amount of activity for seniors to benefit from. Bocce ball is a favorite sport among residents of senior independent living communities everywhere. The sport is played in a variety of places, from senior communities to backyards to even in the Special Olympics. Because of its simplistic playstyle, it’s a popular choice for seniors. The sport is played on a hard surface. A small ball is then rolled onto the court and each team takes turns tossing larger balls towards it. The team with the most balls near the small ball wins. The sports offers a lot of benefits. Since it’s low impact, anyone can get in on the fun and exercise, even seniors with physical issues. Since it’s a team game, social activity is encouraged. Finally, the game gives seniors some mental exercises, since strategy is involved in well placed throws. 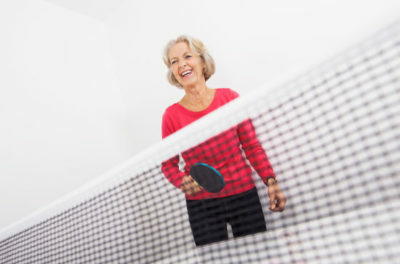 If you’re a senior that enjoyed tennis in the past but are unable to enjoy it now due medical issues, consider playing badminton or ping pong. Badminton is played like tennis but uses a slightly different racket and instead of a tennis ball, a feathered projectile called a shuttlecock is used. Because of these changes, the sport is better for seniors who once preferred tennis. Ping pong is in the same line as badminton or tennis. But unlike tennis, ping pong has a smaller amount of movement and activity. Which is why it can be considered a low-impact sport. Additionally it also has a very small chance of injury for seniors. While some ping pong matches can be intense and fast, it can go at a slower pace. Which is more acceptable for seniors. 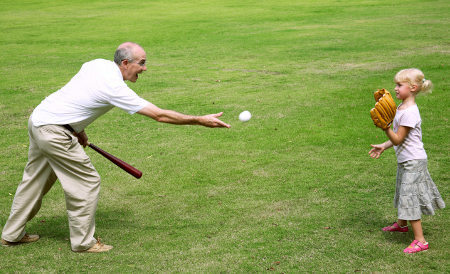 For seniors who enjoyed the American pasttime of baseball, wiffle ball is a great low-impact sport for seniors. Due to a lighter equipment and a smaller playing field, wiffle ball is a good choice for seniors who love playing baseball. Since it’s a team game, it’ll make a great social experience and help seniors connect with others in a senior independent living community. 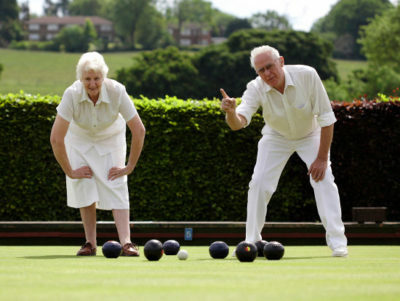 Additionally, senior living communities have taken notice to the sport and are organizing leagues with their residents. Another favorite low impact sport for those in senior independent living communities is shuffleboard. While the game might be known to be played on cruises, it has its place in senior communities. It’s mainly played indoors on a table or on an outdoor court. Like bocce ball, the game provides low-impact exercise, social activity, and positive mental exercise. This is how the game is played. Using the game’s long poles, seniors push flat disks towards a triangular shaped court for points. The smaller the marked part of the court, the more points a team gets. While the sport may seem simple, its strategies and teamwork aspect can be something the thinking senior may enjoy. These are just a few of many low-impact sports that seniors would love. As more seniors continue to move into communities, the more options they’ll bring with them. Either way, seniors will still have ways to get out, be active, and stay healthy.